Why one must go for Equity MFs? Equity mutual funds are best suited for the individuals who are seeking for long term capital growth and can pursue higher risk. Equity mutual funds are best suited for the individuals who are seeking for long term capital growth and can pursue higher risk. The risk and return vary from scheme to scheme under equity mutual funds as they are either actively or passively managed by the fund managers. Equity mutual funds can give you maximum capital appreciation than any other financial instrument, believes market experts. If there is an increase in stock prices, it would reflect in appreciation in the invested money. On can accumulate good amount of wealth over a period of time. 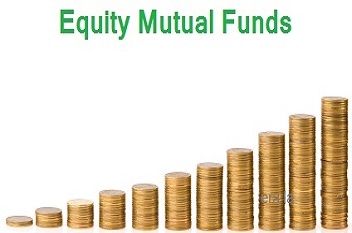 Equity mutual funds diversify the funds among various sectors. Therefore, if one sector underperforms then the other outperforming sectors can make up for the losses minimising the risk of overall portfolio. While investing through ELSS (Equity linked saving scheme) funds one can avail tax benefits. Investing lump-sum for 3 years lock-in period will help you get a tax deduction in the current financial year for up to Rs 1.5 lakh under section 80C of the Income Tax Act 1961. Some of the equity mutual funds allow the investor to redeem at any point in time simplifying the liquidation process. Whenever you are in need of money, you can stop your SIP and redeem the number of free or all units you want.